There have been, since my posting “FEEDING THE NARRATIVE”, numerous media reports on STTEP’s work in Nigeria. The remainder of the so-called news reports that followed consisted of information lifted off the SOFREP website and many reports were padded with innuendo and fabrications. Some of the journalists even intimated that they had interviewed me when they hadn’t. Whereas I fully understand that some in the media need to ensure that their misleading narrative gets as much media play as possible, it is nevertheless a blot on the integrity and honesty of the many good journalists out there trying to make sure they report on real happenings and not figments of their imaginations—or that of their handlers. I do not mind the mainstream and social media ageing me, demoting me, spelling my name incorrectly, using a stock photo from 1993 (I am told I looked a lot better then than I do now! ), and claiming to know my military record. However, these “forgivable errors” merely point to a lack of very basic research. And by the way, Google is not a research asset. 1. I was a co-founder of Executive Outcomes: This lie has been repeated ad nauseum and forms the foundation of much of the rubbish written about EO. As it has been repeated so often, it has now become “the truth”. Any person who claims that he founded EO or was a co-founder (other than myself and a person who very briefly held shares in the company in 1989/90) is a liar and that can be proven by a quick search at the Registrar of Companies in Pretoria, South Africa. As EO was established in 1988/9 and worked under the radar, it only came to prominence in 1993/4. There are however some who lay claim to founding or being co-founders of EO. Basic research will prove them to be nothing other than liars. Some of these liars have even turned their claims into a business. 2. STTEP was driving around in tanks in Nigeria: This remarkable comment was made by a journalist who obviously does not know the difference between a tank and an MRAP but who is still deemed to be a “defence journalist” and who happens to be a suspected intelligence agent. I rest my case. 3. STTEP consists of white racists: Ironically, these reports attempt to create racial tension and nothing else. I am not too sure what race has to do with competence and effectiveness but apparently it means a lot to those journalists. Truth is that the company has white, black and brown Africans in its ranks, some coming from national armies and others from those who fought national armies. Plus, many of our applicants are black which makes a mockery of this comment—unless they too are “white racists”. 4. EO/STTEP have invaded in Africa in attempts to “colonise” it: Neither EO before it nor STTEP have ever engaged in anti-government actions—anywhere. Some ex-EO men were recruited (several years after EO closed its doors) by a man who (still) puts himself out to be a co-founder of EO (a blatant lie) and he misled them regarding a coup attempt that failed. The initial comments regarding EO “invading” countries was however written by a well-known foreign intelligence asset, despite EO being invited there by the legitimate government to assist them. Besides, how do Africans colonise Africa especially when invited there by the government of the day? The stupidity of this comment boggles the mind. 5. I lied to men regarding medical and CASEVAC procedures: This comment by an internet troll claims I lied to my men regarding medical and CASEVAC procedures and options and left wounded men to die. Ironically, as an ex-SADF transport officer who was never part of either EO or STTEP, this troll also appears to know more than I do. No person in his right mind would want to work for a company that treats its employees in such a manner, yet we are overwhelmed with applications… Or is this lie being bandied about for another reason? 6. I alone was responsible for the training and deployment of 72 Mobile Force in Nigeria: The journo who wrote this has no clue about something known as “team work”. I lay claim to nothing and all credit for the training must be given to the STTEP leader group and training team who achieved a remarkable result in a very short space of time with very little equipment and under extremely difficult and trying conditions. 7. I sit in my office and expect the men to do what I won’t do: There are those who know me and then obviously many who do not. Suffice to say, I will never ask anyone to do something I am either unwilling or afraid to do. Many who have worked with me can attest to that. 8. I recently gave a lecture in Europe on STTEP’s tactics in Nigeria: This comment was the result of a poor deduction made by someone who read my blog entry on the RDDC. The journalist who wrote that comment also hinted that he had actually interviewed me—he hadn’t. 9. We trained the Nigerian Army (NA) in “relentless pursuit”: This comment was way off mark. Relentless pursuit is an element of exploitation and not an operational approach on its own. Another journalist then went on to claim that STTEP was using Boko Haram’s tactics against them! 10. STTEP only consists of ex “apartheid-era” soldiers: Shame, but something must be said to create the perception that we are white racists who harbour the politics of a previous government. Of course, whatever can be said to create racial tensions must be said. And of course, no mention is made of the many black Africans who wish to join STTEP as that would totally upset the narrative. And by the way, many who work with us are not ex “apartheid-era” soldiers. 11. STTEP gets paid for its work: This shocking revelation has truly exposed us as getting paid for our services. The journalist who wrote this obviously works for free. Yes, we do get paid but we get paid a LOT less than foreign PMCs who operate in Africa will multi-million dollar budgets, funded by foreign governments. In this instance, we were a sub-contractor and had no room for any negotiations regarding payment. STTEP has done contracts where it worked for zero-profit to support those who needed help but of course, that must never be mentioned. 12. STTEP is a threat to Africa’s security and stability: It appears that working to ensure an end to conflict, as quickly as possible, constitutes a threat to Africa’s national security and stability. I suspect this comment is made because STTEP is actually seen as a threat to numerous nefarious foreign agendas and interests, not to mention some NGO’s who thrive on conflict as it fuels their income. 13. STTEP has claimed the credit for Boko Haram’s losses: Unlike those who make false claims, STTEP will NEVER take credit for something it didn’t do. This pithy comment is merely aimed at trying to discredit the Nigerian Army and attempt to create antagonism between the NA and the company. False claims that STTEP rescued hostages in Sambisa forest is another falsehood as that was done by the NA. 14. STTEP engaged in a “secret” war in Nigeria: This sensationalist comment apparently expects the Nigerian Army to send early warning to the enemy that they are about to launch an attack. Maybe the journalist felt that “secret” would add a sinister twist to his story. Or maybe he felt that the Nigerian Army were “playing dirty” by not telling the enemy what their intentions were? 15. STTEP engaged in a “dark war” against Boko Haram: I am not too sure what a “dark war” is. Perhaps the foreign news editor who came up with this comment could enlighten me what it actually means. Or maybe his “sources” that never existed would know what he meant. 16. STTEP is part of the “Executive Outcomes Group”: The so-called “EO Group” (http://www.eogroup.biz) are conmen who are trying to use a defunct company’s name and reputation to gain contracts—albeit under false pretences. Despite being (telephonically) confronted over this fraudulent business practice, they still persist in their deception. Maybe the media should talk to them as they claim—on their website—they have “10 000 employees working in 70 countries”. Perhaps now the many decent and honourable journalists will understand our suspicion talking to them. They have been tainted by their very unethical, unprofessional and unscrupulous colleagues who continually abuse their positions to feed a false agenda and narrative—and who, apart from their salaries, most often get paid by their shadow paymasters as well. Does that make me hateful of the media? No, only very cautious as trust is not given unconditionally, it is earned. Timing: The timing of any attack or strike is crucial to throwing an enemy off balance and seizing the initiative, especially if the enemy’s intentions and routine are known and the forces are able to conduct both day and night operations. Climatic conditions and variations, along with terrain, must be considered to enable the timing of the attack or strike to place the enemy at a distinct disadvantage. The timing for lifting stand-off bombardments and air delivered fire must enable the ground forces to close with the enemy and annihilate him. Timing can increase operational and tactical surprise and result in increased momentum and tempo. Synchronicity: The manoeuvre of forces along with direct and indirect fire must be synchronised with close air support to achieve the best effect to degrade and destroy the enemy and his materiel. This requires the force to have good communications at all times. Similarly, swarm attacks must be synchronised to coincide with other operations in the enemy’s deployment area. Surprise: Surprise is a force-multiplier and is the result of agility, speed, shock action, operational security and deception. Its aim is to throw the enemy off balance, regain and maintain the initiative and momentum, and disrupt and exploit the enemy’s confusion. The enemy must be forced to defend over multiple fronts against both conventional and unconventional direct and indirect approaches. Surprise must always be exploited. Tempo: Tempo is the result of momentum combined with speed of action/reaction. Aimed at forcing the enemy into a defensive or reactive posture, it enables the attacking forces to increase momentum, pressure and shock action and thereby force the enemy into a disadvantage. High-tempo operations must give the enemy no respite but must be logistically sustainable. Manoeuvre: Horisontal and vertical envelopment/manoeuvre options are dictated by terrain and the manoeuvre assets a force has at its disposal. Rapid manoeuvre, ever-increasing momentum and tempo, and synchronised firepower is essential to annihilate the enemy. Firepower: Focused firepower is required to overwhelm and annihilate the enemy. All direct, indirect and air-delivered fire must be coordinated and synchronised to achieve maximum effect. Uncoordinated firepower will not achieve a decisive result. Speed: Speed of action/reaction is required to disrupt the enemy’s intentions, increase momentum and tempo, place additional pressure on the enemy and buckle his defences or disrupt his intentions. Speed of action and reaction can seize the initiative from the enemy and surprise him. Manoeuvre assets add to speed. Logistics: An efficient and functional logistical system is required to sustain operations. A failure in logistics will reduce momentum, tempo, manoeuvre, firepower and speed and thereby cede initiative to the enemy. A force lacking in logistics will lose momentum and become a vulnerable force that is unable to withstand enemy attacks. However, the manner in which the armed forces are organised, structured, trained, equipped, and led will determine the manner in how they will fight to achieve victory—or flee the battlefield in disarray. 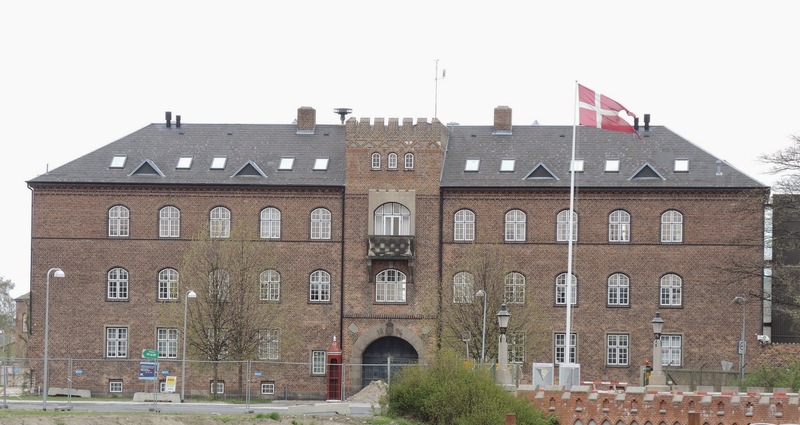 It was a great honour and privilege to have been invited to Copenhagen, Denmark, to address interested parties and Masters-level students at the Royal Danish Defence College (RDDC) on “New Wars”. Whereas my contribution to the seminar and the subsequent debate as well as the lectures on New Wars was miniscule at best, it was heartening to see the interest shown by those I engaged with regarding the many conflicts we experience – and will continue to experience – in Africa. The visit to the RDDC also allowed us to discuss numerous issues such as politics in Africa, the development of conflict and war, why governments fail, the scourge of poaching and where they think Africa is possibly going wrong. We also discussed issues such as the threats facing Africa, the role of foreign powers, the UN and PMCs and why many if not most of these interventions fail or deliver very little results – in many instances only escalating the already-existing tensions and conflicts. These discussions made me realize that the intent of those I spoke with at the RDDC have a genuine desire to see an improvement in Africa’s lot. To Africa, that can only be good. My sincerest thanks to the Royal Danish Defence College as well as everyone who partook in our discussions and in particular to Professors Thomas Mandrup and Stig Jenson for the friendship and the opportunity given to me.